Harsh environments, heavy load and extreme speeds can challenge your productivity. 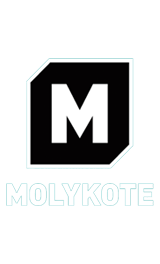 Molykote brand Anti-Seize Pastes and Anti-Friction Coatings can help your equipment and processes moving smoothly. We can reduce your downtime, save you replacement costs & improve your operations with molykote smart lubricants. Our Forte is our experience in providing technical solutions to our customers, assisting them in reducing their downtime, maintenance intervals, enhancing machine & equipment reliability and improve customers productivity. A One Stop Lubricant, MRO, Chemical & Specialties supplier and partner to our valued customers, we are able to support various industries from petrochemical, oil & gas related industry, steel mills, food processing, precision machining, marine, shipping ports, chemical plants, plastic injection, glass manufacturing, tobacco, pharmaceutical, rail & train, military, original equipment builders, power industry, defence weapons & equipment, aviation, aerospace and general manufacturing. Brisk Asia Sdn Bhd distributes and market lubricants, grease, anti seize lubricants, paste, oil, sprays, compound, sealant for various applications and operating conditions including extreme low temperature to extreme high temperature. Copyright 2016 Brisk Asia.Website Designed by XANTEC SOLUTIONS.